Amanda Nunes won Cris Cyborg via KO at the co-main event of UFC 232. Nunes opened up strong and rocked Cyborg at the beginning of the match. “The Lioness” was faster and more precise rival! Amanda Nunes destroyed Cris Cyborg with her punches, and the referee stopped the fight after only 51-seconds. Nunes is the first female fighter to hold titles in two different weight classes. Let’s remember, Amanda Nunes holds notable victories over Valentina Shevchenko, Ronda Rousey, and Miesha Tate. But the way Amanda Nunes destroyed Cris Cyborg is outstanding! Actually, Nunes took part in a wild brawl with one of the most dominant female strikers in the history of MMA! There weren’t many fighters who dared to trade shot after shot with Cyborg! Dana White says the whole place went crazy when Nunes put Cyborg to sleep. He adds there is nothing more fun than two champions bombing each other from the start. Dana White is not interested in an immediate rematch between Cris Cyborg and Amanda Nunes, because “Nunes’ victory was so convincing”. Dana White praises Nunes now. But only one year ago, White had a beef with Amanda Nunes. He ripped her for pulling out of UFC 213 due to sinusitis, claiming the reasons for her withdrawal were “90 percent mental”. 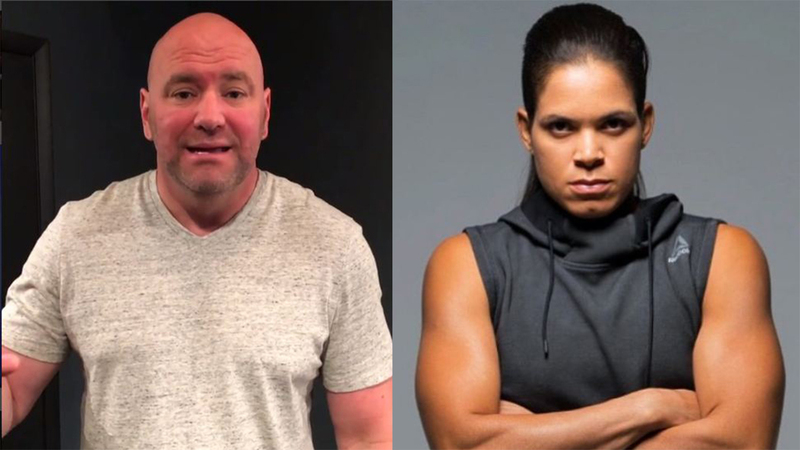 Dana White guarantees Amanda Nunes will become a star after UFC 232. Do you agree with Dana White? Do you think Amanda Nunes is the female GOAT after Cris Cyborg demolition?